The Full Moon of May is one of the most significant moments in the yearly cycle. 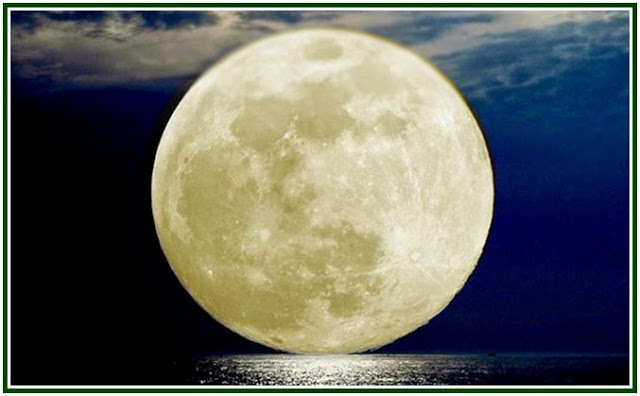 Associated to Vaisakh ou Wesak – a month of the Hindu and Buddhist calendars – the full moon of May promotes a certain dialogue involving the Moon, the Earth, the Sun and the Pleiades. One must admit that the yearly event of Vaisakh has been widely distorted by generations of pseudo-theosophists, among them Annie Besant and her Clairvoyants of Delusion. A ritualistic ceremony was fabricated in a scarcely intelligent way, involving fake masters of the wisdom. The anthropomorphic farce around Vaisakh was produced by the seers of witchcraft which ruled the Adyar Society between 1900-1934 and whose disciples still lead it now, in its unavoidable cycle of decay. Every lie is condemned to imitate truth. By showing illusion as such, we can see real facts. The Full Moon of May is a sacred event in its transcendent and celestial dimension. The silent dialogue between the Moon, the Earth, the Sun and the Pleiades takes place both in the sky and in the hearts of human beings, including the consciousness of those who search for universal wisdom. Under the sign of Taurus, every full Moon of April-May promotes a dialogue between the sacred Pleiades and the human soul. It is a special moment to meditate, during which one can find a wordless, transcendent inspiration. It constitutes an occasion to leave aside all anxiety or distortion of events in life, and to let mental and emotional substances to reorganize themselves on the basis of a new, strong wave of unconditional peace. It is correct to sleep more time around the full moon of Vaisakh, and to expand in one’s agenda the time for contemplative practices which require no effort. Om, shanti, peace to all. “The Secret Doctrine”, Helena P. Blavatsky, Theosophy Co., Los Angeles, vol. II, p. 549. “The Secret Doctrine”, Helena P. Blavatsky, vol. I, p. 648, footnote. “The Secret Doctrine”, Helena P. Blavatsky, vol. II, p. 551.